Matcha is a popular Asian beverage that took the west by storm. It's in everything from ice cream and baked goods to Starbucks green tea frappes. The classic method of brewing matcha involves only matcha green tea powder and warm water. 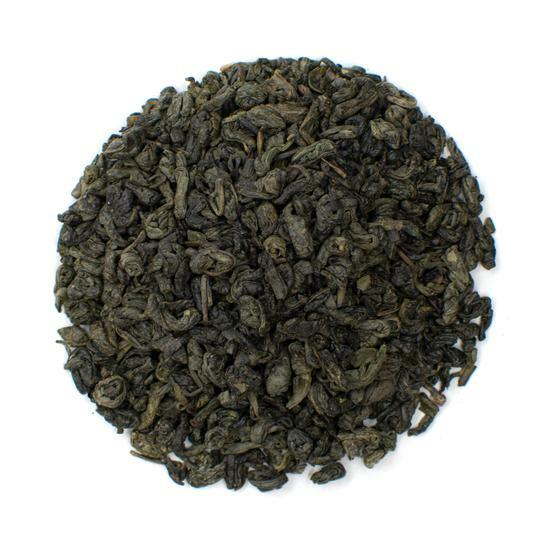 The result is a vegetal tea that is earthy and rich. That flavor profile can be overwhelming for first-time matcha tea drinkers. 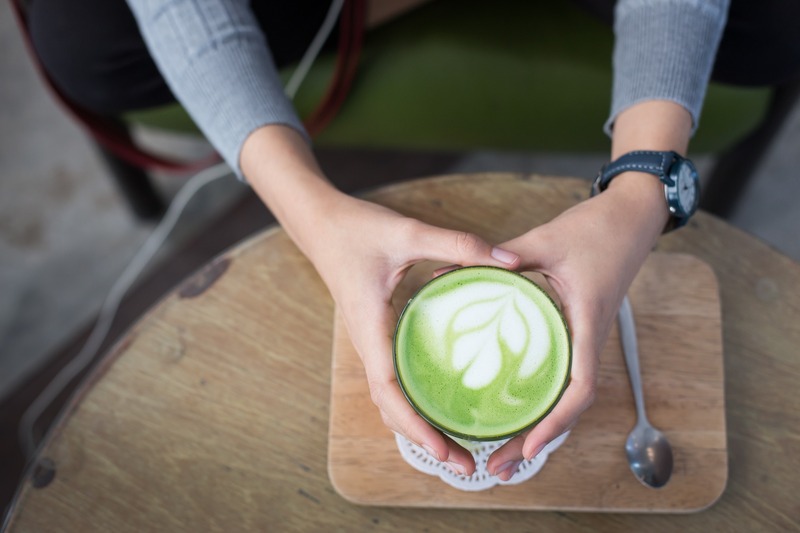 That's why many places offer a sweetened variety known as a matcha latte. The green powder is blended with a little water before adding frothy milk for a creamy beverage. Some latte recipes use honey or sugar to sweeten the tea even more. Making your own matcha latte is as simple as brewing a cup of coffee. The high concentration of caffeine in green tea powder makes this a great alternative to your cup of Joe when you need a pick-me-up. With our matcha tips and recipe, you'll make this creamy, slightly sweet tea perfect every time. Often times people think drinking tea is simply about adding a tea bag and hot water to a mug. Tea connoisseurs, on the other hand, believe that drinking tea should be an immersive experience. The traditional method of drinking matcha tea is all about enjoying sensory pleasures. 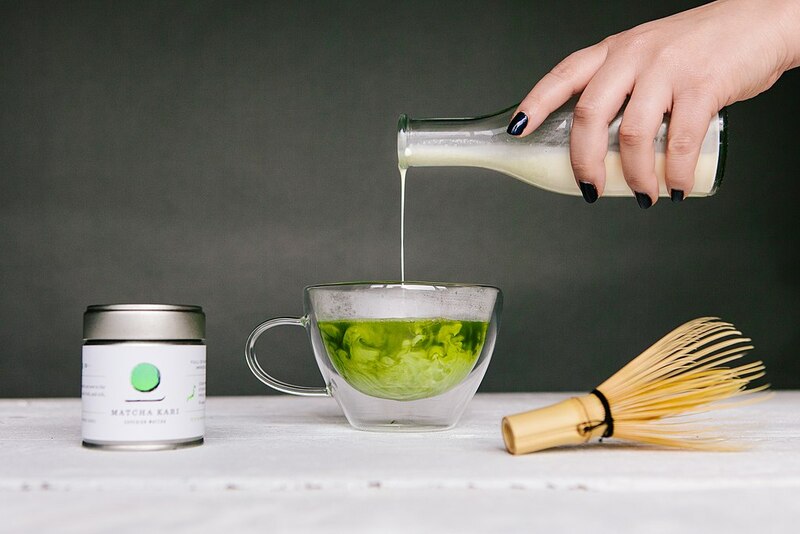 You'll need a few tools to immerse yourself in the true enjoyment of matcha tea. The type of bowl you use affects the way you experience your tea and tools like whisks ensure your brew is perfect every time. These tools can be found at your local tea shop, whole foods store, or online at retail giants such as Amazon.com. Thanks to Starbucks and other fast food-type coffee shops, the matcha tea drinking experienced is often diminished. A sugary latte is poured into a plastic cup and customers are sent out the door back to their busy lives. To truly enjoy the matcha tea experience, you need to inspire all of your senses. The first step, is to start with a proper matcha bowl known as a chawan. Matcha bowls are essential to tea brewing. Cupping your hands around a wide-brimmed bowl helps to engage your sense of touch. The clay bowl warms your hands while the wide-brim allows the vegetal scent of matcha to entice your nostrils. The domed shape of the bowl allows aromas to fully envelope your olfactory senses and it's easier to enjoy the visually pleasing color of matcha tea. Besides the sensory effect of matcha bowls, they're also necessary for proper brewing. Tiny teacups don't allow enough room to effectively whisk the green powder in warm water. 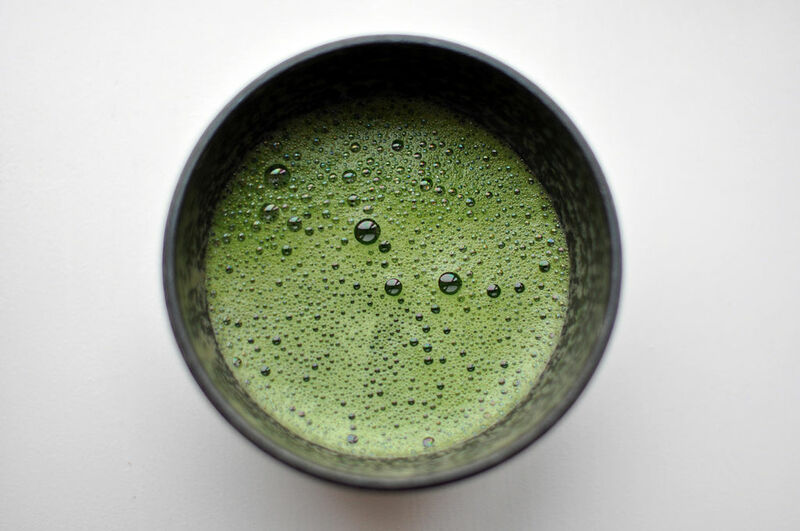 Small bowls and teacups will results in matcha that is not frothy or as flavorful. Chawans are designed to be wide enough to allow proper whisking and deep enough to accommodate the traditional bamboo whisk. Bamboo whisks are key components in brewing matcha tea and lattes. 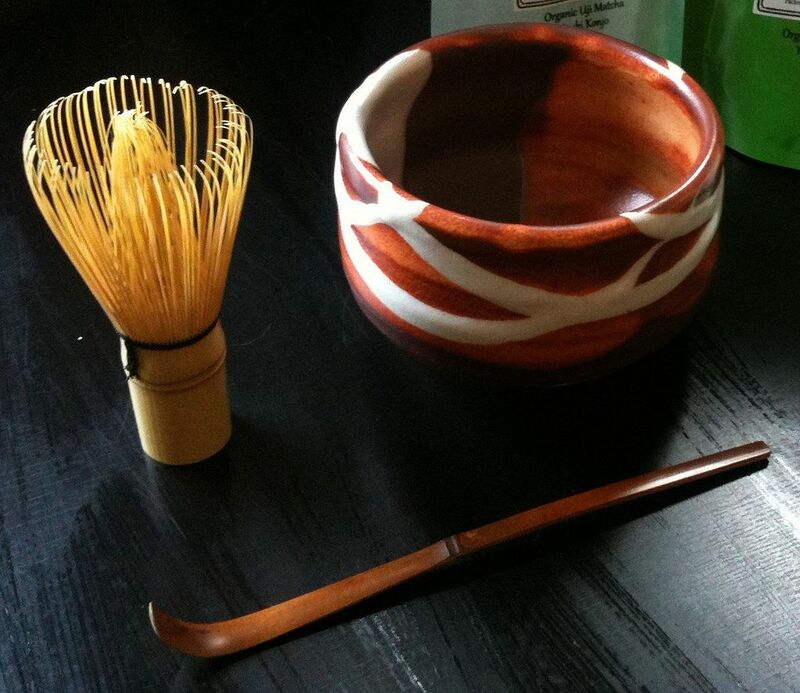 These tools are used in Japanese tea ceremonies and known as chasen. High quality chasens are carved from one single piece of bamboo. Artisans expertly craft tines into thin sections that allow for easy whisking. The bristles are worked by hand to form the unique shape of this matcha tool. These bamboo whisks are delicate and can be damaged if used improperly. To preserve the quality and longevity of your chasen, adhere to the following care instructions. Once you purchase a chasen, soak it in warm water for 1 minute to allow the tines to unfurl. Always make sure to whisk matcha tea with the chasen suspended. Grinding the bristles against the bottom of your matcha bowl can damage the whisk. Rinse the matcha whisk thoroughly after each use, but never place it in a dishwasher. The easiest way to rinse is to fill a large bowl with warm water and whisk until all matcha remnants are gone. Dry the chasen before storing vertically in a chasen stand known as a kusenaoshi. ‍Our organic matcha powder is blended with delicate jasmine flowers for a floral take on this classic beverage. 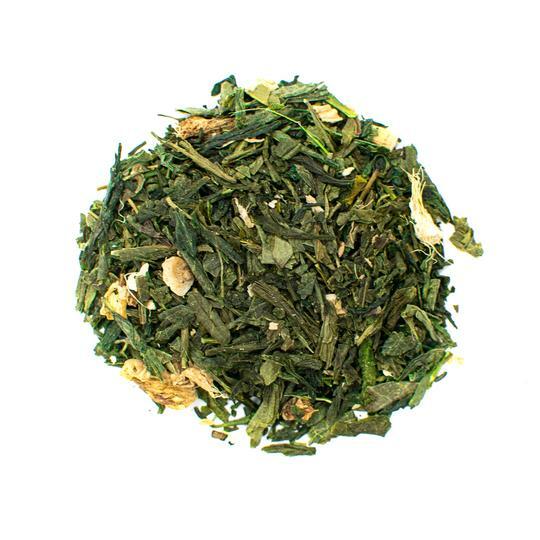 The easiest way to ensure the best flavor of matcha lattes is to start with high quality tea. Matcha powder is made from ground up green tea leaves. Organic matcha means the tea plants were grown without the use of pesticides or fertilizers. Since the entire leaves of the plant are used, matcha green tea is purported to have better health benefits than loose leaf green teas. 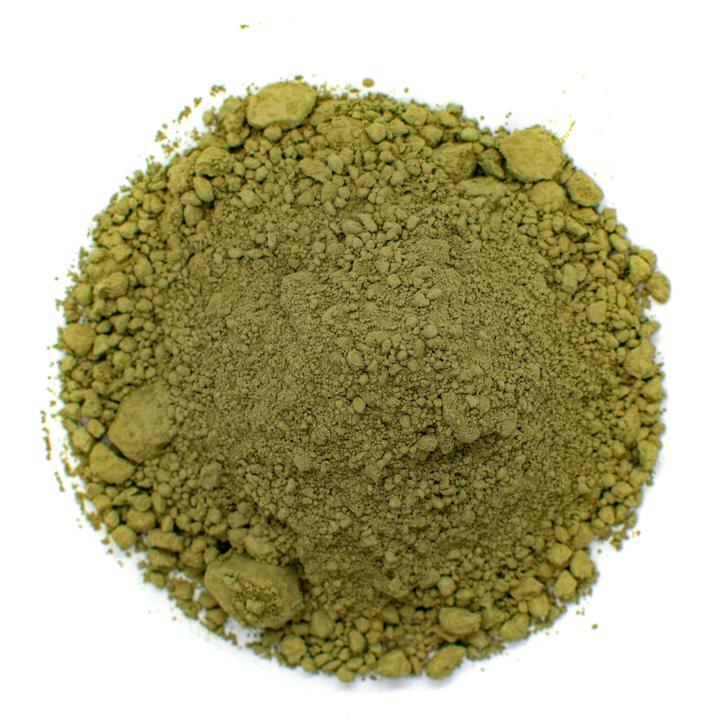 Ceremonial grade matcha powder is the highest quality and is used in traditional societies for preparing Japanese tea ceremonies. Culinary grade matcha is designed for use in foods and not ideal for making tea. Stick to ceremonial grade matcha for the best results when brewing tea. Store matcha green tea powder in an airtight container such as a mason jar. Keep it in a dark, cool place to prevent alteration of flavor. A whisk stand is not essential for brewing matcha lattes, but it is useful for preserving the bristles on your bamboo whisk. Repeated use of bamboo whisks causes the bristles to lose their shape. The kusenaoshi tool helps to reform the bamboo whisk to its original shape. This is another tool that isn't essential to matcha brewing. However, it is useful for portioning out the proper amount of matcha. The matcha spoon is made of bamboo and adds to the experience of brewing matcha tea. You can use a standard teaspoon instead if preferred. Matcha green tea is legendary for its energy-boosting properties. It was used in medieval Japan by samurais before they went off to battle. 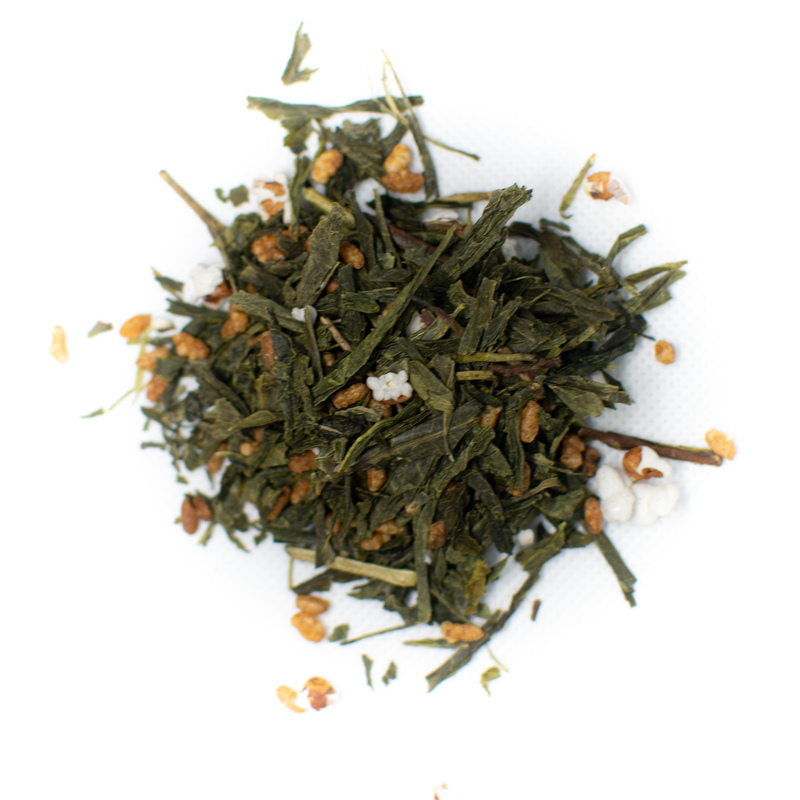 Since green tea is made from the leaves of the Camellia sinensis plant, it contains naturally occurring caffeine. 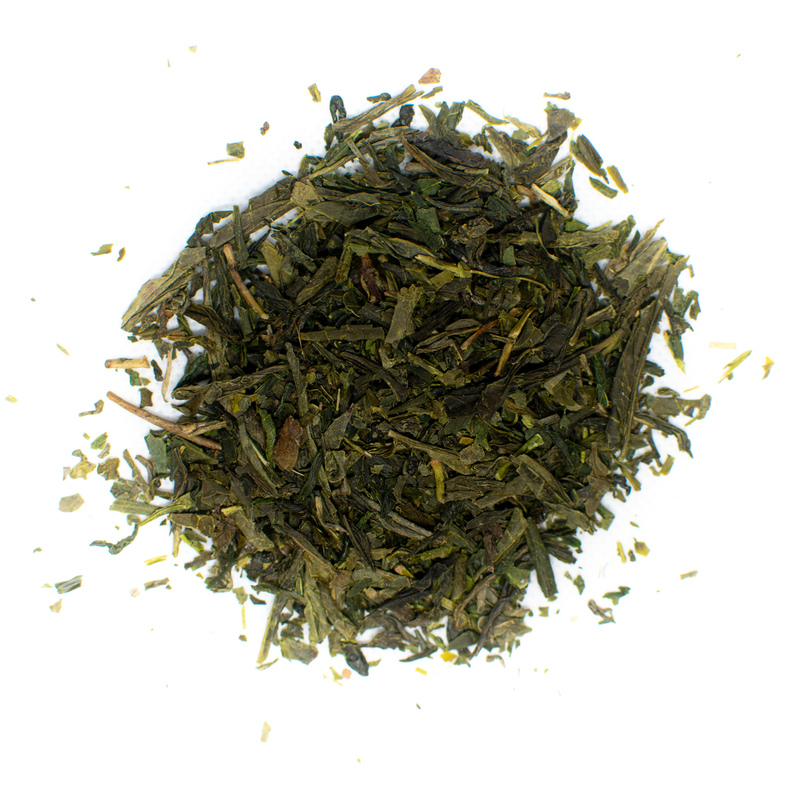 Green tea also contains L-theanine, an amino acid that delivers energy more slowly and smoothly. L-theanine also triggers the production of dopamine and serotonin—two chemicals that increase mood and concentration. Matcha tea is packed with antioxidants and tea polyphenols that boost the immune system and fend off illnesses. The main antioxidant in matcha tea is epigallocatechin gallate, or EGCG. This tannin limits oxidative damage that is connected to diseases such as cancer and neurological decline. Matcha tea also contains vitamins that fight the common cold or flu. Matcha green tea contains calcium and vitamin A that helps protect bone health and boost immune health. Green tea extract is one of the main weight loss supplements on the market. Consuming green tea can help the body store less fat and burn it faster thanks to its chemical composition. Tea catechins increase body temperature and trigger chemical reactions that signal the liver to burn fat faster. These catechins also work to suppress hunger, making matcha tea a good choice during or after meals. Matcha tea is also gluten-free and low calorie so you can drink several cups a day without feeling guilty. Just make sure to limit the addition of any sweeteners. 1. Use a fine mesh strainer to sift the green tea powder into your green tea cup or bowl. Make sure to break up all clumps for a smooth, full-bodied tea. 2. Add the hot water and stir vigorously using the matcha whisk. Don't use boiling water as it can alter the taste and texture of green tea. Focus on using a zigzag motion and flicking your wrist powerfully when you whisk matcha. 3. Froth the milk. The easiest way to do this is to use a frother on an espresso machine. If you don't have a milk frother, heat the milk on the stove. Use a small saucepan and heat between 165 and 180 F. Use a handheld frother or a wooden whisk to froth by hand. If you want an iced latte, use cold milk instead of hot milk during the frothing process. 4. Pour the frothed milk into your tea cup. Use a spoon to hold back a small amount of foam. Add this foam to the top of your mug and serve with a dash of matcha powder for garnish. Drinking a matcha latte doesn't mean you have to sweeten the beverage beyond recognition. 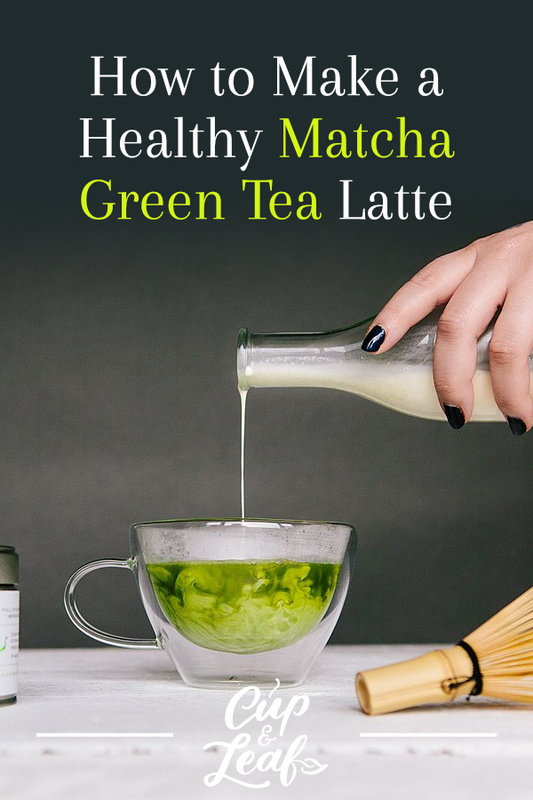 By combining the basic tenets of matcha tea brewing with a dash of flavored milk, you can brew a sweet matcha tea that isn't unhealthy. Use traditional tools to fully enjoy the sensory pleasure of matcha tea drinking. Opt for a hot beverage to warm up in the winter or cool off in summertime with an iced matcha latte.